I always thought that was an odd listing, Colorado not being at Pearl on 12/7 and all. Here's the listing for the Midship Models USS Colorado 1941. It clearly says 1941 on the box. Yes my options are limited- I probably might have to stick to reshaping the bulge of another Trumpeter Maryland 1941 kit to depict her in Feb. to June 1942 fit. I used my previous Trumpeter Maryland 1941 kit to make Colorado 1942, but I felt I could have done a better job of emulating your instructions. Sorry, I meant that the Trumpeter listing of a 1941 Colorado was what I found odd. I knew the Midship one was '41 fit. Really makes me wonder why there are so many incidents of USN bulges being done with this same wrong interpretation. Loose Cannon's, HP's, and Trumpeter's Colorado/Maryland, Trumpeter's 350th New York & Texas, and Niko's Florida come to mind. Arizona, on the other hand, never gets presented that way in plastic. Tennessee off the coast of California, December 1943. Wow, I thought I had posted my images for my completed 1/700 Uss California. I know its not perfect, and not a 100% true backdate from 1945 to 1944, but its close enough for me. Plans are to put it in a Dio with a tamiya 1/700 Uss Cushing converted to a uss Sigourney DD-643. Was also left over with a bunch of parts for the Colorado class as well. I think that your California looks great! I'm guessing you used the Trumpeter 1945 California kit instead of the Trumpeter's 1944 West Virginia kit? 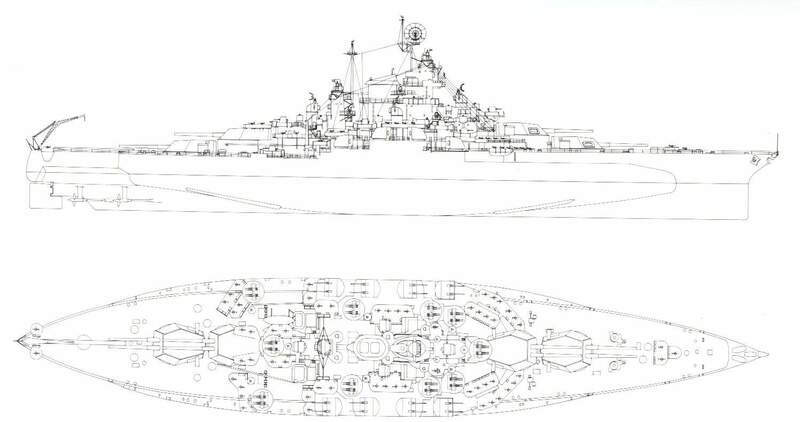 If you recall earlier in the thread, SeanF said the 1944 West Virginia is actually identical in configuration to the California of the same year, except for the main armament. I didn't see that post until AFTER I bought the 1945 California and had already started assembling and painting her. If I would have researched before hand like I normally do, I would have found that out. Thank you though! Really like the way the rebuilds look. I have the Trumpeter USS California in my stash and am excited to build it. It almost looks as if Trumpeter included parts for other battleships in the kit as well, probably to save them creating individual sprues for each ship. My spares box will be very happy. Hey I just saw the pics you posted of your USS California 44', very nice indeed! Hi, all- apologies if this has been covered before, but I haven't found a definitive answer yet. It's crunch time now for my finishing up my 1/700 Trumpeter West Virginia, and I want to depict her how she looked at Surigao Strait. Pictures from her leaving Puget Sound in July '44 have her with SK radar, but later pics in drydock in November have the SK-2. Does anyone know when the changeover happened and which one was carried on 25 October 1944? Hello Dave, this topic is supposed to be used for the PRE-WAR "Big Fives." PART V: (b) (4): "Search radars consisted of 2 SG-1's and one SK." PART V: (b) (5): "Three R.P.P.I. 's in C.I.C. were set on the following scales on the sets indicated. PART V: (f) (a): "...No difficulty with land echoes despite the proximity of land, on the scopes of the SK was experienced. it is felt that the SK-2 did away successfully with such echoes." As English is not my mother tongue, I am not quite sure how this sentence should be interpreted. I personally incline to the feeling that the "SK" was just used as a generic term, but the real type was "SK-2." FYI, I found no specific information about when the SK-2 was installed neither in Jaroslaw Palasek's "Colorado Class Battleships" nor his "Big Five" books. Last edited by Timmy C on Mon Oct 08, 2018 11:18 am, edited 1 time in total. Rare images of Tennessee in the spring of 42’. 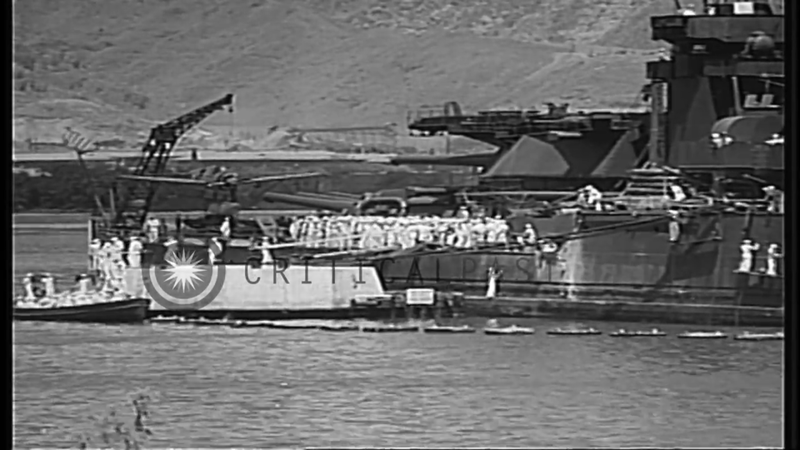 Stills taken from a film showing shots around Pearl Harbor that shows the Pennsylvania and all three New Mexico’s in port. Which of the big 5 had the MS21 paint scheme that also was the biggest of them all? I gather Wee Vee was the biggest but she never had teh MS21 as far as I know, so which one was the next in size? what do you mean by "biggest of them all"? OK. i meant the widest. I understand Wee Vee was built out to 114 feet wide at max, too wide for Panama and was widest of all USN battleships. So, If I want MS21 paint job and I cant do WeeVee which never had it, which was the next widest of the Big 5 as they werent all identical to my knowledge - or? I have this desire to build a chunky battleship, exactly with looks fo Big 5, but I really like the MS21 paint scheme also. Please dont ask me for Venn diagramme. California, Tennessee & West Virginia where the same size after their rebuild. http://www.navsource.org/archives/01/014887.jpg A line drawing by A.L. Raven of the West Virginia (BB-48) in late 1945. 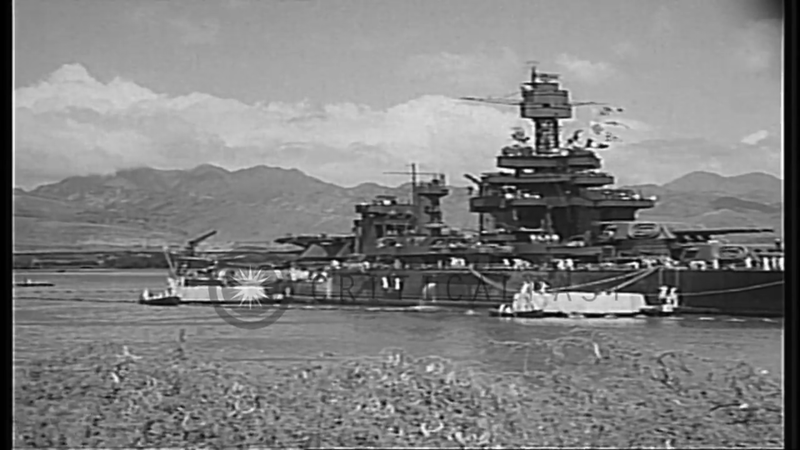 I'm doing all 3 in my in my Arizona kitbash thread with California & West Virginia widened out towards the end of the war with Tennessee as she appeared after the PH attack but before the major rebuild that would make her look the same as the other 2 ships. California and Tennessee were reconstructed the same as West Virginia with the same width. There are photos of Tennessee right after reconstruction in Measure 21, 1943 early 1944 time frame and late war 1945. California may also have been in Measure 21 late war again late 1945. Try Navsource for better dates.